Every year, people around the world waste a staggering amount of food. A report from the World Resources Institute estimated that one-third of all food produced worldwide is lost or wasted as it moves from where it’s produced to where it’s eaten. The report also detailed that food loss and waste generates around eight percent of global greenhouse emissions; if it were a country, food loss and waste would be the third largest greenhouse gas emitter behind China and the US. Meanwhile, 800 million people in the world are undernourished. Contributing to this huge food waste problem is consumer confusion around labels. Consumers naturally buy foods with an extended shelf lives to ensure the food they are buying is as fresh as possible for as long as possible. Quality control firm Dansensor published a recent food consumer survey that found around three out of every four consumers go shopping between one and three times per week, with two-thirds saying they check the expiration date on a product before they buy it, suggesting that people are very aware of the use-by date and take it into account when choosing their food products. However, knowing when food is truly out of date or not has become a problem. While food waste is an issue of increasing importance to both brands and consumers, there is confusion around food labels, especially the difference between “best by” versus “sell by” and “use by” dates. If it’s past the “best by” does that mean I shouldn’t consume it? Or that it just won’t be at its peak freshness? When in doubt, consumers often toss the food and go buy more. It’s no surprise that consumers are easily confused when it comes to figuring out if food is past its prime. In the US, there are at least 10 different date labels on food packaging, depending on the brand, be it “best before,” “best by,” “sell by,” “use by,” and so on. The Food Marketing Institute has said this can result in very confused consumers discarding a safe or usable product after or before the true date of the food going bad. This dilemma could be solved easily with smarter packaging technology. Right now, thanks to our partnerships with global packaging leaders, billions of consumer goods are #BornDigital™ every year. 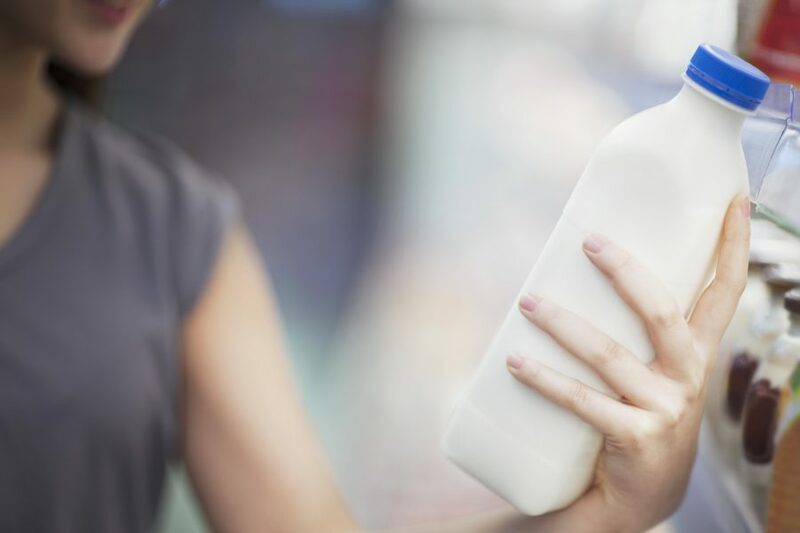 This means that a food product, such as a carton of milk, could be given a unique digital identity (similar to you having a Facebook profile), connected to our Internet of Things Smart Product Platform, which can trigger digital reminders about the freshness of the product. In practice, consumers would buy a product, scan a QR code with their smartphone camera and receive an alert days later right before the product was about to reach its expiration date, reminding the consumer to use the product. This alert could be accompanied by helpful recipe ideas as well. The consumer would later receive another update once the product had expired, prompting them to toss the food and order more, either manually or via a reordering application also powered by the smarter packaging technology. Thanks to this IoT-enabled solution, brands can help consumers clear up their confusion around when products are safe to eat, thus cutting down on contributions to food waste.